For the past few years, the wearables market has been veritably exploding. The challenge however has been that the markets focus on all things endurance – from step counting to general ‘everyday’ activity tracking. PUSH have changed that though, introducing the first wearable that properly tick the box for weight trainers, bodybuilders and strength athletes. Lets dive in, because we’re about to show you precisly why folks rying to build muscle are in need of a wearable to help them track the one metric which actually ensures you have stimulated your muscle enough in that workout in order to elicit change. 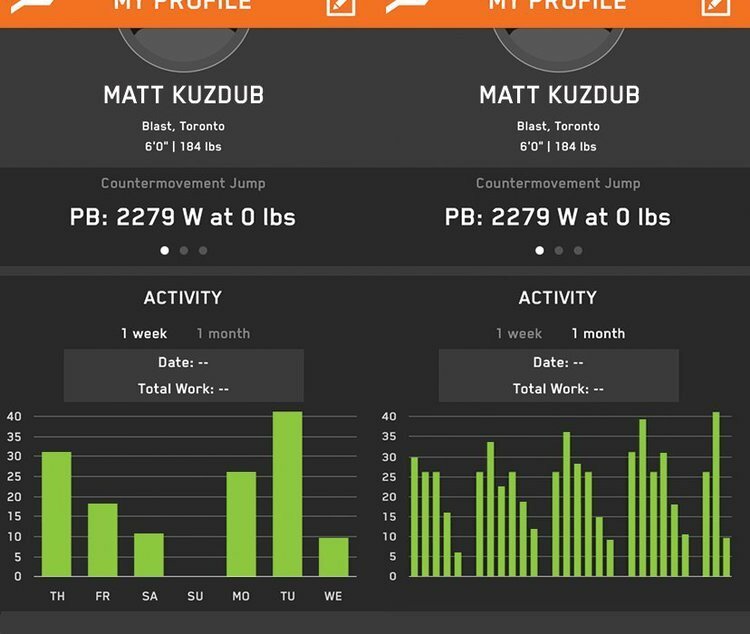 This app and tracker is actually so powerful that it could change the way that we train. PUSH is built entirely with weight training in mind. Now six months old, the technology claims to have tracked over 4 million repetitions, and is now deploying sophisticated machine learning in order to upgrade its algorithms. The premise behind the device is really very simple – its to take the tracking of weight training to the next level. Here’s the challenge, and by proxy, the problem that PUSH is solving: Weight training – especially when it properties to building muscle – is actually quite hard to track. Firstly, the majority of gym goers don’t actually physically rack their workouts at all. Most train by ‘gut instinct’ and build workouts on the go. Others have structured plans which run for set blocks of time, such as 6 weeks of training dips, bench press and cable flyes for chest. However such structure does not mean that they’re actually tracking the improvements that they make. Then there’s the folks who diligently take their log book into the gym, and measure every rep of every set. This is great, but its still seriously flawed. The flaw lies in the fact that there is SO much more to it then simply tracking the weight lifted by the number of reps. Muscle as we have shared before (see this excellent book ‘Muscle revolution’), is built by tension. For a muscle to grow, you need to subject it to ever increasing levels of tension. More tension means more stimulus, and so long as this tension is at the sufficient fresh-hold, it will equate to more growth. So tracking your weights is logical, but the log book is too prone to lying. The major flaw with the of book lies in the simple fact that you are unable to log the metrics which actually mater. I’ll say that again. The amount of weight you lifted by the amount of times you lifted it does not tell you how much force you subjected your muscle too. It fails to take into account whether you sufficiently hit the fully elongated or stretched part of the muscles range of motion. It fails to tell you whether you caused enough muscle breakdown to stimulate a positive (growth) adaption. It fails to tell you whether you exerted more force than last time you hit that muscle for that exercise. This is precisely why we need the PUSH app tracker. The Push solution measures every kilojoule of energy that your muscles exert. This becomes a metric which is actionable and easy to implement. To stimulate your muscles to the point of inducing growth, you simply need to exert more kilojoules of energy per muscle than what you previously managed on your last workout/s. Immediately, we eliminate all of the guesswork, whilst introducing the precision which ensures that your workout will be productive. Its for this reason that Universities and professional sports teams are rushing to adopt this nascent technology. By moving beyond the amount of weight X the number of reps to measure a workout, and instead adopting the idea of ‘total work’, these scientific trainers are transforming their results. The old world, made exercises like push-ups and squats almost impossible to actually quantify. How do you account for body weight in say a squat, when it fluctuates daily? How do you really know if you hit a PR? On a press up, how do you quantify the force going through your pecs, as you could have marginally changed your body position (e.g. feet) since the last time you used the exercise? The PUSH tracker and app lets you move towards measuring ‘total work’ instead – a concept long heralded by scientists but equally long has it being useless to the gym-goers who cannot use it. Total work is much more constant and replicate, and now it is measurable at scale, it can be properly applied to grow your training. Wit a simple interface which explicitly shows you how much energy you have expended doing an exercise, you are suddenly able to visually track your workouts in a way which has been impossible before. This has huge ramifications for personal trainers looking to get an edge on their competitors, professional athletes and also regular gym goers alike. As you can see, we’re really stoked by this app, as we have been waiting for a viable and actually useful muscle building wearable to emerge for the past 24 months. Let us know your feedback in the comments below!